The two central activities in my life – alongside writing – have been reading and gardening. Penelope Lively has always been a keen gardener. This book is partly a memoir of her own life in gardens: the large garden at home in Cairo where she spent most of her childhood, her grandmother’s garden in a sloping Somerset field, then two successive Oxfordshire gardens of her own, and the smaller urban garden in the North London home she lives in today. It is also a wise, engaging and far-ranging exploration of gardens in literature, from Paradise Lost to Alice in Wonderland, and of writers and their gardens, from Virginia Woolf to Philip Larkin. "Rich and unusual, a book to treasure. Few recent gardening books come anywhere close to its style, intelligence and depth. Moves between Lively’s own horticultural life and a broad history of gardening." "Wonderful. A manifesto of horticultural delight." "Beautiful. Perfect for literary garden lovers." "Enchanting. Reading this book is like walking with a wise, humorous guide through a series of garden rooms . . . and finding that vistas suddenly open out, on to history, fashion, politics, reflections on time and the taming of nature." "A perfect bedside book. In part it’s a memoir of the gardens in Lively’s life, starting with the exotic Egyptian garden of her childhood and continuing up to her small present-day garden in a north London square." "A gentle survey of the garden’s place in Western culture, which morphs into a personal meditation on time, memory and a life well lived." 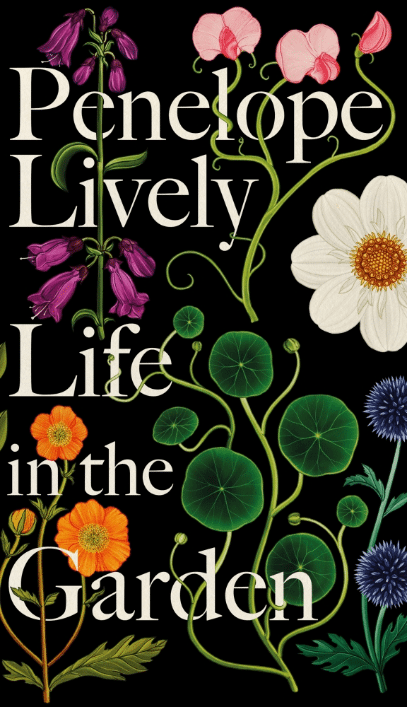 "Lively finds memories of her own gardens scrambling like roses through insights into the history of gardening and the artists – including Woolf, Monet and PG Wodehouse – who have been inspired by their gardens." ©2019 Penelope Lively. All Rights Reserved.